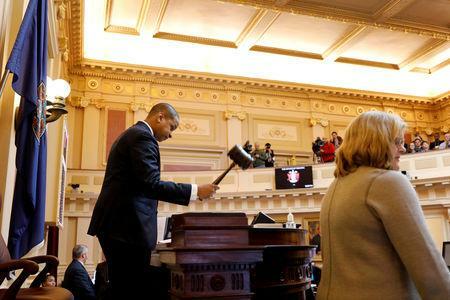 RICHMOND, Va. (Reuters) - The chaos that has swirled around the Virginia statehouse for more than a week showed no signs of waning on Tuesday, one day after a lawmaker backed down from his threat to seek the impeachment of one of three top-ranked Democrats engulfed in scandal. 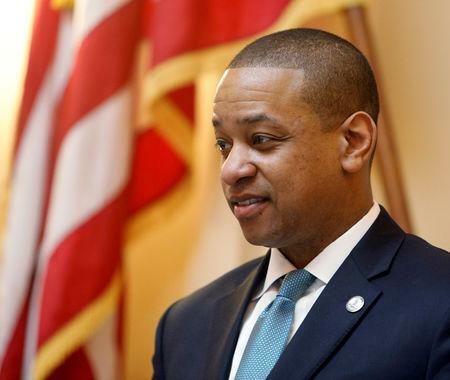 Fairfax, once a rising star in the U.S. state's Democratic party, has resisted all calls to resign following accusations he raped a fellow student at Duke University and forced himself sexually on another at a Boston hotel 14 years ago. The stalemate is reflected in the opinions of Virginia voters about the scandal. A Washington Post poll taken last Wednesday through Friday showed residents evenly split over Northam's fate, with 47 percent wanting him to step down and 47 percent saying he should stay on. But black residents were far more supportive, with 58 percent saying he should remain in office versus 37 percent who said he should leave.